HONEYWELL - Peerless Electronics Inc.
- Honeywell is a Fortune 100 company with $40.5B in sales in 2017. Honeywell began in 1885. Over the course of 130 years, thousands of people have helped achieve the core mission and values which consist of a secure, cleaner more efficient future, innovation as well as nonstop improvement. To read more about Honeywell's history, click here: https://www.honeywell.com/who-we-are/our-history. - Honeywell creates solutions for all sorts of industries whether it is home and building, aviation, defense and space, oil and gas, industrial and more. Look at the latest video on Honeywell: https://youtu.be/f8Aik-3SZF4. - Honeywell has the awards to back up their revered success as well. 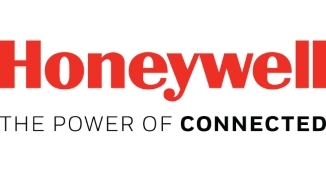 From being named one of "China's Top 10 Competitive Electric Companies" to being named 2017's "Top 100 Global Innovator by Clarivate Analytics," Honeywell just keeps winning. As if their innovative nature and constant growth in electronics is not enough to want to buy Honeywell products, their social responsibility efforts are an added bonus. Their efforts to improve access to safe drinking water in India are recognized by India Corporate Sustainability & Responsibility. Also, Honeywell was recognized by the Hope Awards for their commitment to the safety of children. For a full list of all of Honeywell's astonishing achievements from humanities to business, please click here: https://www.honeywell.com/newsroom/awards. 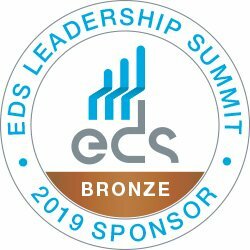 - Honeywell's operating model, Hos Gold, connects business management processes and innovation to build a best practice enterprise. Honeywell is always on the search to develop their products and come up with a better experience for all involved while reducing costs. To learn more about Honeywell's Hos Gold business enterprise, click here: https://www.honeywell.com/who-we-are/overview/hos-gold. - See the latest Honeywell guide to Aerospace & Defense Products @ http://sensing.honeywell.com/honeywell-sensing-aerospace-defense-rangeguide-000703-4-en.pdf. - In addition, please refer to the new Honeywell guide to Products for Transportation! Click Here! - Peerless has been an authorized distributor for Honeywell since the 1950's. We stock the full line of Honeywell toggle switches, limit and basic "micro" switches, snap action, rocker switches, pressure, proximity and humidity sensors, hour meters, and more. Peerless also stocks a complete selection of military and aircraft switches. No distributor has a wider, more diverse Honeywell switch and sensor inventory than Peerless! Don't see what you are looking for? We can get it for you! Using another brand of switches? Let us cross them for you!